Miguel Pulido’s pal Alex Vega struck again late this afternoon, assembling about 20 of his family and friends in front of Santa Ana mayoral candidate Alfredo Amezcua’s law office, at 1319 N. Broadway, in Santa Ana. 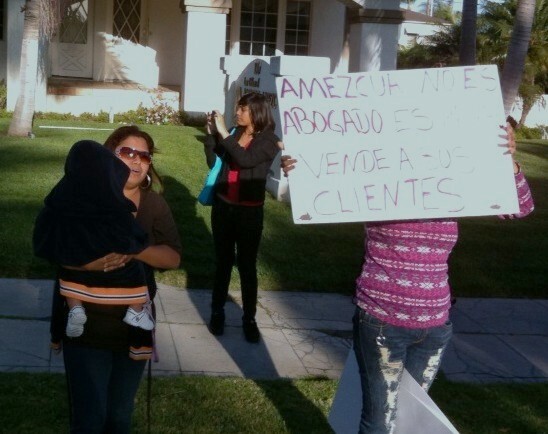 The protesters carried signs alluding to Vega’s charges that Amezcua is a bad lawyer. That despite the fact that the California Stat Bar Association does not note any complaints in Amezcua’s file. Why is Pulido allowing Vega to embarrass him like this? It would be one thing to argue the issues with Amezcua, but going after his business is a real low blow. Does Pulido want to wake up to find protesters outside his Floral Park home? I doubt that will happen as Pulido uses the SAPD as his private security force. Speaking of the SAPD, a police officer did show up at the protest. He asked Vega if he had a permit. He said he did but he allegedly did not have a copy of it with him. I seriously doubt Vega had a permit. It is hard to believe that Pulido is encouraging what amounts to Tijuana-style politics. You really find it hard to believe? How do you think that the Mexican plutocratic PRI party stayed in power for 72 years? Also this is how the Communist Party ruled Russia for about the same length of time(and they started around the same time too). And both used the same undemocratic brown shirt tactics to get, and hold power. Seriously all the people in this class have no education since they can’t even spell as a spanish speaker and writer and as a proud Latino I am saddend that these people can’t even spell the easiest words in the dictionary. But again I don’t blame them it must of been Mr. Vega who got these people out of nowhere and just bribed them with a free lunch. BUt seriously leran how to write in spanish people if you are going to protest. This response is a SHOUT OUT! to Martine, your name stand for martine de Porras, tijuana style name. HERE A JOKE EVERy 1……..Why don’t the MExican Every get ahead? Because there always shooting each other down. I too am guilt of telling the truths. 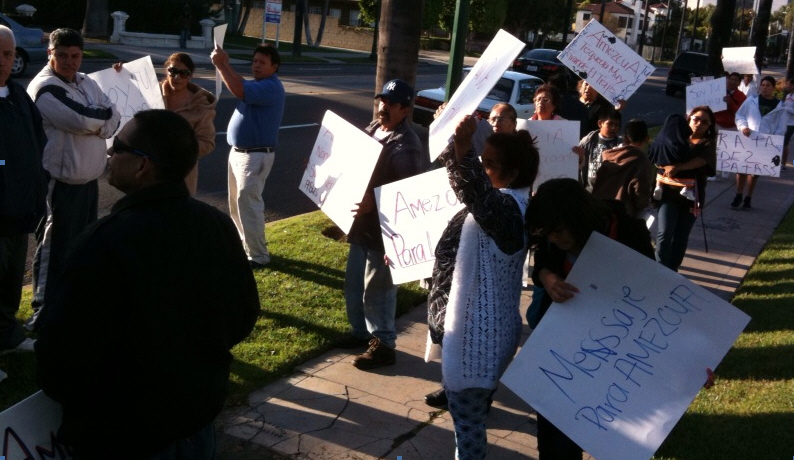 Amescua a carne asada will gain these protestors as ptential voters. LOL ALFARO… Amescua your need me on you sampaign staff. this crap happened with Loretta and Lou and the shakers like myself made it happen. Martin complains that the Mexicans should “leran” how to write lol when he himself should learn how to spell! LOL! He* ooops hahahaha my bad.